What is Kuru and what are its Symptoms? Kuru is also known as the laughing sickness and this happens when brains of human or animals are consumed. Kuru is a degenerative neurological disorder endemic that is incurable in tribal regions of Papua New Guinea. It is a kind of transmissible spongiform encephalopathy that is caused by an infectious agent found in humans. "Kuru" is derived from the Fore word "kuria/guria" (means-to shake) referring to the body shivers like tremors which is a symptom of the disease. This is why it is known as the "laughing sickness" because of pathologic bursts of laughter that people would show when affected with the disease. 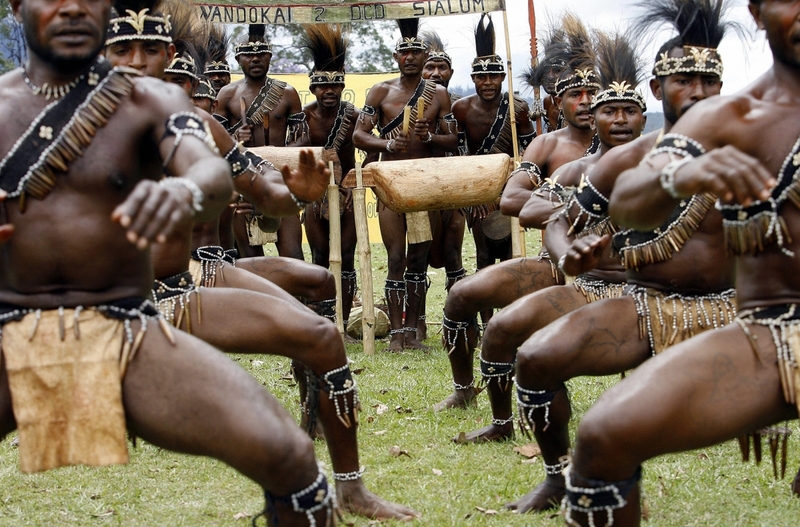 Kuru is transmitted among members of the Fore tribe of Papua New Guinea through funerary cannibalism. What most of them didn't know was anyone that lived in the highlands of Papua New Guinea (southwestern Pacific) until 1930s, during Australian gold prospectors were surveying the land and realized there were about a million people living there. There are three stages in Kuru. Generally, it is introduced by headache and joint pains. Although these are common symptoms, they are usually missed as indications that a serious disease is approaching. At the first stage- An affected person with kuru displays some loss of control over the body. There are chances of having difficulty in balancing and maintaining the posture. In the second stage- The person cannot walk. Their body shivers and indicates involuntary jerks and movements begins. In the third stage- Person is bedridden and uncontrollable. They are unable to talk. They can also appear to be lunatic or there is a change in the behavior. At this stage they are not bothered about health. Starvation and malnutrition in the third stage occurs since they find difficulty in eating and swallowing. The secondary symptoms can lead them to death within a year. Most people also die from pneumonia.